I think the sign of a good dish is when your husband risks the tips of his fingers to pull little pieces of left behind fish from a hot grill pan! Not saying that my husband did that or anything. Wink Wink. This swordfish is bursting with smokiness and lemon flavor. 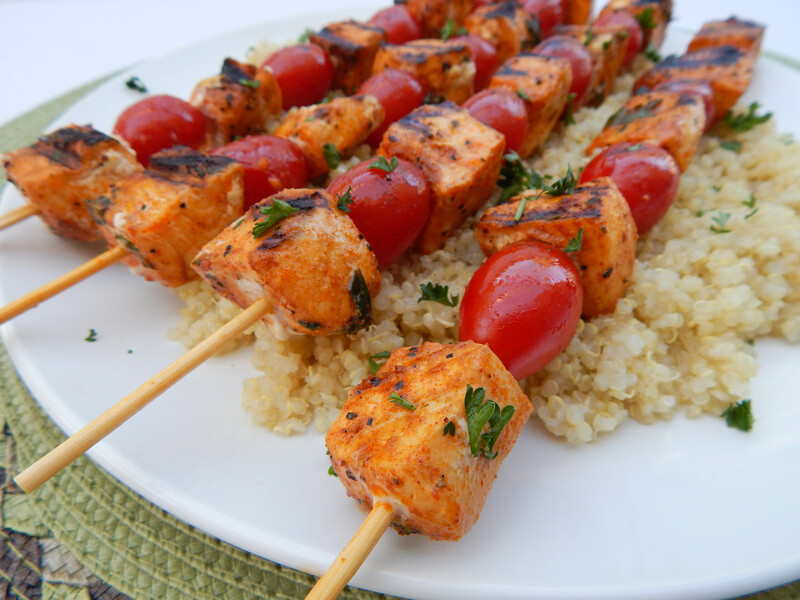 It is beautifully skewered with cherry tomatoes and covered with grill marks. This weekend I cooked swordfish for the first time! Tommy and I are seafood lovers, so when I saw swordfish at the store I thought, why not? I mixed up a quick and easy marinade for my fish and got to it! I read that swordfish is a great fish to grill because it is very firm and will not beak apart on the grill. 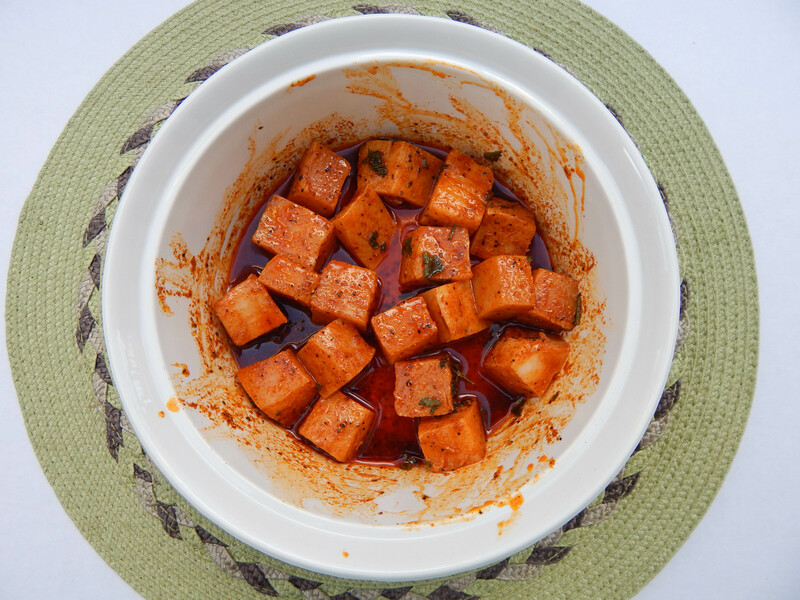 I use smoked paprika in the marinade, and that is what gives the fish a vibrant red color. I bought 2 frozen swordfish steaks which equaled just under 1 pound of fish. Once they defrosted I made sure to trim off the skin and any areas that were red/brown. I only left the white part of the fish and cut it into square chunks. This is such a beautiful dish! Once you bite into your first piece of swordfish you immediately get the flavor of the tart lemon, you get a little smokiness from the smoked paprika, and you get the hearty texture of the fish. The fish has a very mild fish flavor which works for people who may not be the biggest fans of seafood. The tomatoes become soft and juicy, and the chopped parsley gives the dish a bright finish and pop of green color. Tommy called this dish “IMPOSSIBLY GOOD,” and it was gone fast! I served the skewers over simple quinoa. I cook quinoa according to the package directions, but add in a little extra virgin olive oil and sea salt while cooking. 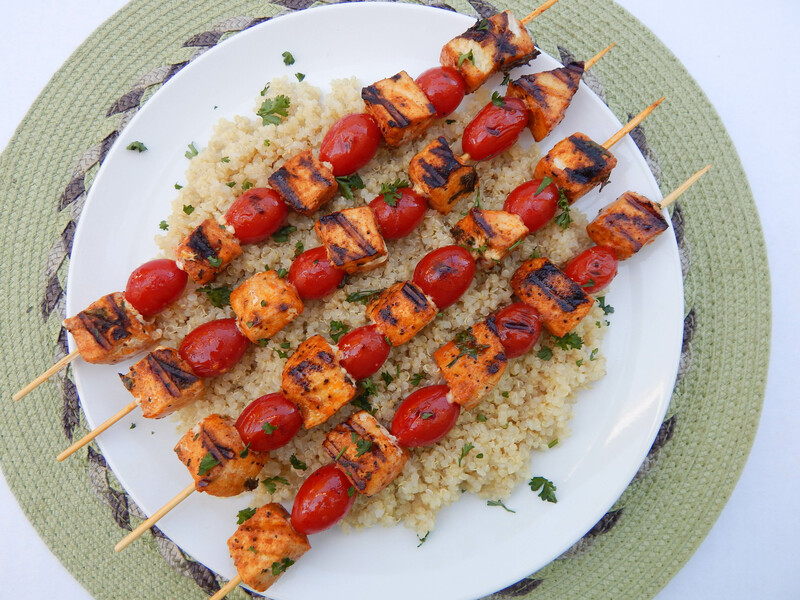 You could also serve the skewers over rice, brown rice, pasta or with a salad. 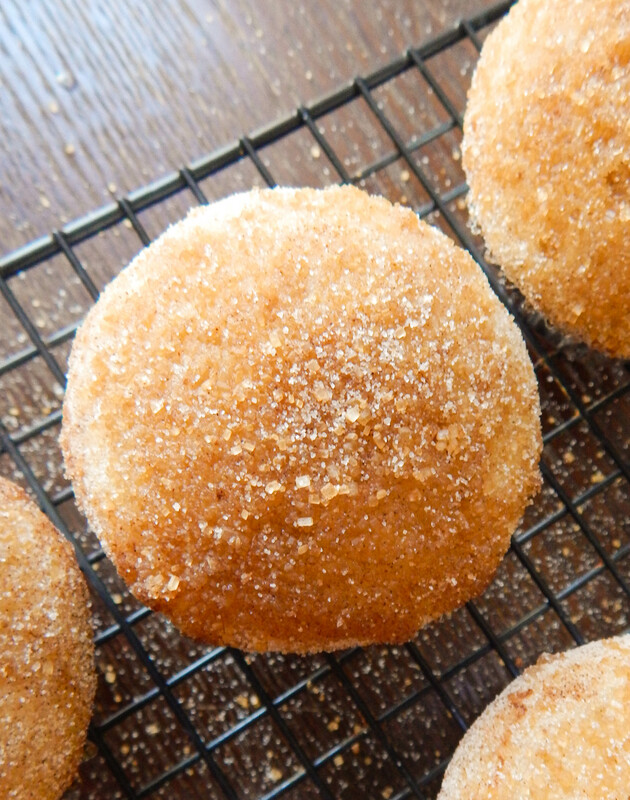 This dish can be made anytime of year. The ingredients are simple, and it is grilled indoors on a grill pan. Ahhh… look at those colors! I am a sucker for pretty food. 1. Place 4-6 wooden skewers in a large bowl or container with water and soak for 30 minutes so they do not burn on the grill. 2. In a large bowl combine all ingredients except the swordfish and tomatoes. Whisk all ingredients together to make the marinade. Once the marinade is combined add the fish, and mix around to coat all sides. Let it marinate in the refrigerator for 25-30 minutes. 3. While the fish is marinating cook the quinoa according to package directions. I add in a little extra virgin olive oil and sea salt. 4. After the fish has marinated 25-30 minutes pull it out of the refrigerator, and preheat your grill pan over medium heat. 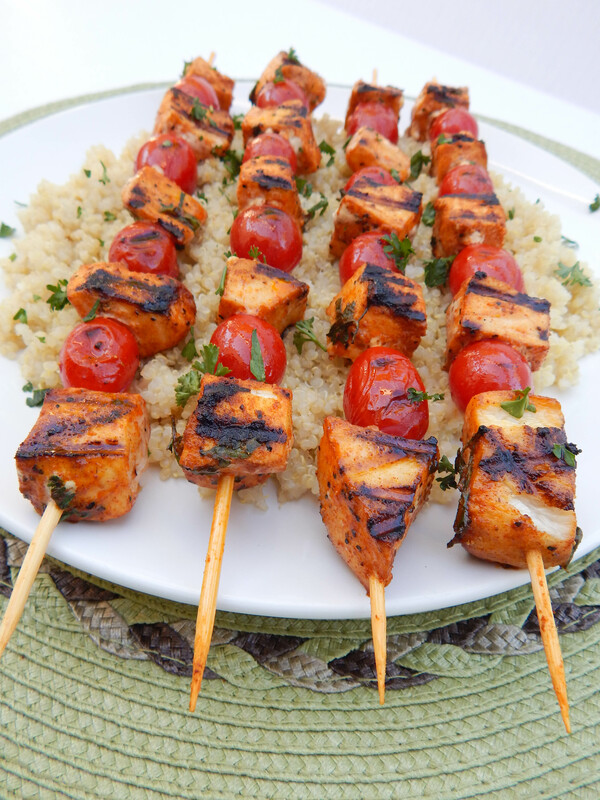 Skewer your fish and tomatoes onto the wooden skewers and set aside until they are all complete. Sprinkle skewers with a little sea salt if desired. 5. Brush extra virgin olive oil onto your grill pan or spray with nonstick cooking spray to ensure the fish doesn’t stick. Add all the skewers to your grill pan. Cook your fish 5-6 minutes on one side then flip and cook 3 minutes on the other side. Remove when cooked. 6. 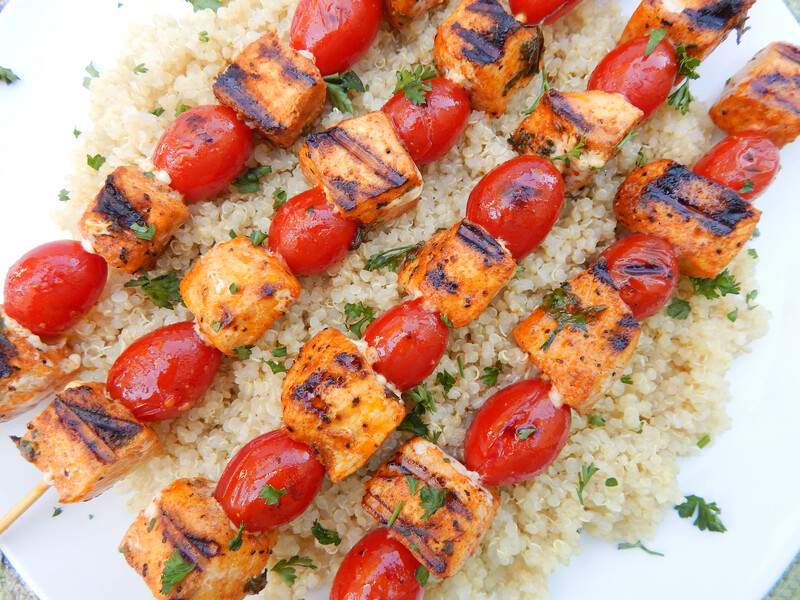 Add the cooked quinoa to your plate and place the skewers on top. Sprinkle with fresh chopped parsley if desired. I used lemon pepper seasoning that has salt already in it. If you are using a salt free mix add salt to the marinade to taste.